Konatsu's biological son, and Yotarou's stepson. He is named after the Second Generation Sukeroku's birth name. 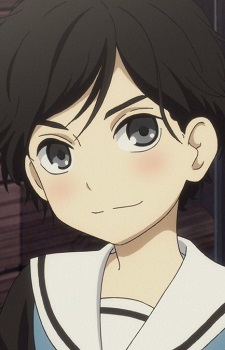 Born into the world of rakugo, he harbors a pure respect and love for rakugo stories and their performers. Sixteen years after the Eighth Generation Yakumo Yuurakutei's death, at the age of 23, Shinnosuke is a futatsume performing under the title of the Second Generation Kikuhiko Yuurakutei. He hopes to become a shin'uchi soon. Konatsu refuses to discuss with anyone who Shinnosuke's father is. Yotarou believes it's his former yakuza boss in whose place he went to prison, but Higuchi theorizes much later that Shinnosuke's father is actually the Eigth Generation Yakumo Yuurakutei.